I've had a whirlwind year with my two books publishing—The 13th Continuum & Return of the Continuums. I won my first book award (pinch me!). Did tons of readings and signings. Started teaching creative writing class for The Writing Pad. Needless to say, that's taken a lot of time and energy away from my cooking pursuits. Slowly, but surely, I've been coming back to food. How can I stay away? I love it too much. I hope to start posting my recipes again, maybe once a month. I'll see how it all goes! I made this chicken soup at the height of cold and flu season (doing lots of public events = lots of germs). I got requests for the recipe, so here you go! Keep in mind that you can throw in whatever veggies you happen to have on hand. You can also add beans (I love putting white beans in soups). You could add quinoa or rice. Really, it's whatever floats your boat. For this iteration, I did use my homemade chicken bone broth that I make in the slow cooker overnight. First, I make a whole chicken, one of my fave slow cooker recipes. Then I save the meat we don't eat for soup and return the carcass to the slow cooker, cover it with filtered water and a tablespoon or two of raw apple cider vinegar and cook it on low overnight. The next day, I strain it and BOOM—amazing homemade bone broth. My recipe has some fancier things you can throw in with the chicken bones, but it's fine with the extras. Okay, so the next day I have 1) chicken meat and 2) chicken bone broth. Now we make soup! Yes, you can use store bought broth BUT it won't taste nearly as good. I buy my chickens primarily from a vendor at my farmers market that specializes in grassfed/pastured meat. I'll buy three or four at a time and keep them in my freezer. Yes, they're more expensive. But you can actually taste the difference. Of course, store bought will work. Trader Joe's sells organic whole chickens at a very reasonable price point. A whole chicken can stretch to two or more meals easily. 1) In a large heavy-bottomed stockpot, heat the olive oil over medium-high heat. Add the onions and carrots and saute until beginning to soften (about 5 minutes). Add the garlic and cook for one more minute. Add the potatoes and cover with the chicken stock (about 4 to 6 cups depending on how much broth you like in your soup). Bring to a boil, reduce heat to low, cover and simmer for 20 minutes. 2) Add the frozen peas, spinach, chicken pieces and herbs and return to a boil. Reduce heat to low, recover, and cook for another 5 minutes or until the greens are tender. Season to taste with salt and pepper. 3) Serve with a dash of ground turmeric and chopped parsley. Enjoy! My Book "The 13th Continuum" On Sale & More Recipes Coming Soon! Divas, it's been a while since I've posted—and with good reason! 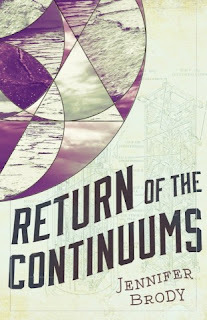 I've been in the trenches, writing my Continuum Trilogy books. 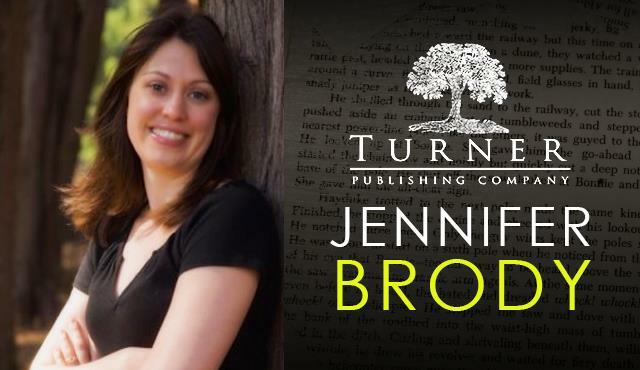 I'm thrilled to announce that I just won my first book award! I also just sent off the third book in the series to my publisher and plan to come back with new recipes SOON now that I actually have some time. This Sunday, I'm off to a cooking and writing workshop at Julia Child's old house in Provence (yes, you read that right!). I'll be cooking and eating and reporting back here with photos and fun stuff. 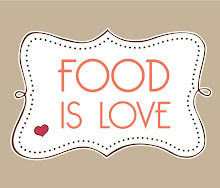 New recipes are coming soon. Stay tuned! 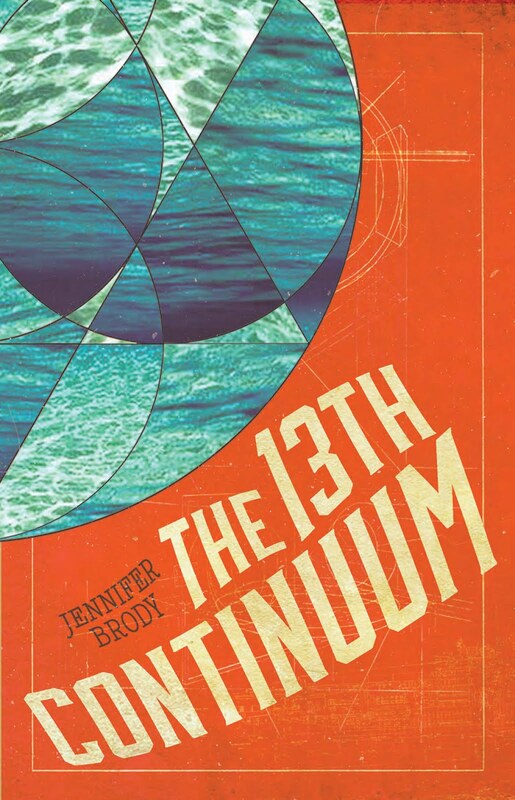 In the meantime, to celebrate the release of Return of the Continuums (Book 2) on November 1st, the ebook for my award-winning novel The 13th Continuum is on sale for only $1.99! The sale extends to everywhere ebooks are sold. The sale ends on 11/2/16. 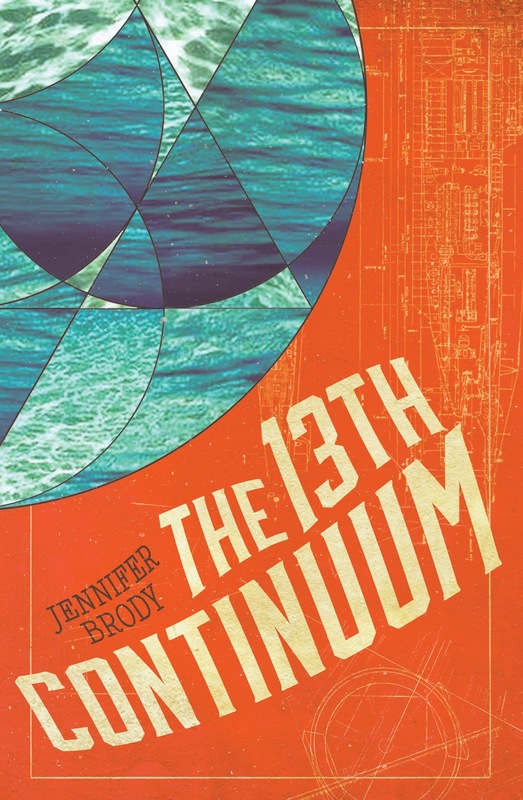 My Debut Novel THE 13TH CONTINUUM -- In Stores Now! 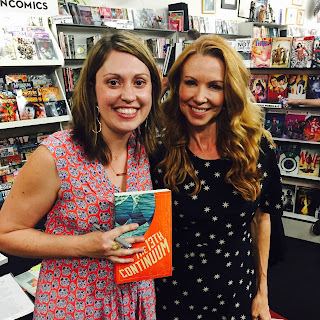 Me & Challen Cates (actress, Big Time Rush) at THE 13TH CONTINUUM launch party! My debut novel THE 13TH CONTINUUM published last week! It's been a whirlwind experience but super rewarding. The book is the first in a three-book series and we are working on putting together the film version. Publisher's Weekly featured photo and blurb on my launch party at Meltdown Comics last week. Check it out here! One thousand years after a cataclysmic event leaves humanity on the brink of extinction, the descendants of the chosen survivors take refuge in thirteen contingency shelters buried deep underground, at the bottom of the ocean, and in the far reaches of outer space. In the underwater 13th Continuum, sixteen-year-old Myra Jackson has heard rumors and whisperings all her life of a magical place called "The Surface” where people could breathe fresh air, feel the warmth of something called sunlight on their skin, and see things known as stars and trees and mountains. Myra has never dared to ask whether the stories are true, since the act of speaking such words aloud is an offense punishable by death. But after she discovers that the air supply aboard her underwater colony is running out, she realizes that her only hope for survival is to find this mysterious place. To get there, she must first recover the only guide to the Surface―the Beacon, an ancient device that also connects her to Captain Aero Wright, a dashing young soldier from one of the only remaining space colonies. With the fate of all humankind depending on them, Myra and Aero must escape the tyrannical forces that rule their colonies, journey through the black depths of the ocean and across the cold void of space, to find each other on the Surface that their ancestors once called home.